Freakin' Emily at Viola. I swear I'm not getting paid for this, but every time I look at her Etsy shop, I get this evil voice in my head that screams, "YOU MUST BUY IT ALL! NOW, NOW BEFORE SOMEONE ELSE DOES!!!" 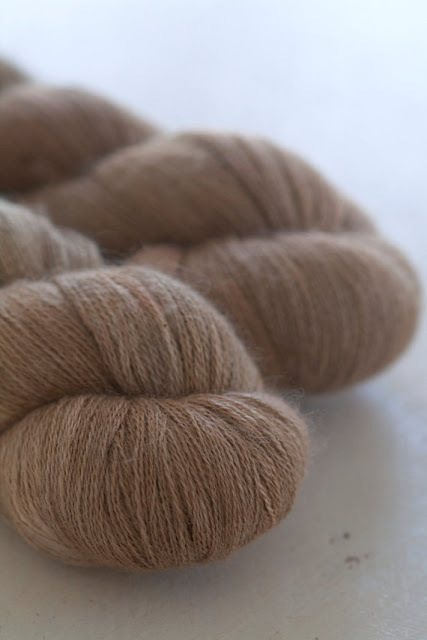 1300 yards of Fancy Lace in the Twig colorway. I have nothing to say for myself. I don't even wear brown! Where is this coming from?! Thank goodness I'm on a tight yarn budget right now. I can't afford to keep myself in luxe yarn!